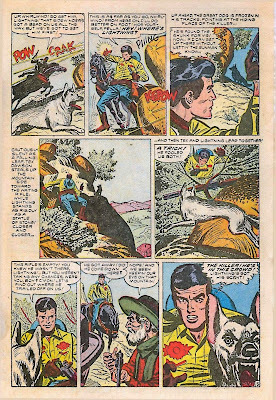 The Fabuleous Fifties: When Sr. Was Jr. 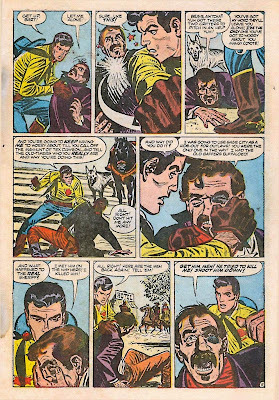 These days John Romita Sr. is best know for being the dad of John Romita Jr. Those who have lived through the sixties and/or seventies, will know him as the artist who took over Spiderman from Steve Ditko and gave him a new, slicker image (as well as a couple of very pretty girlfriends). 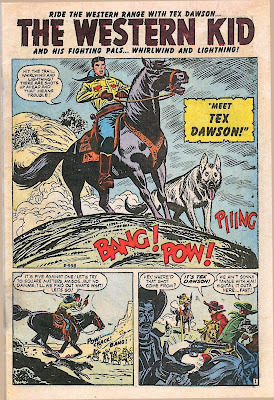 He also started the spiderman comic strip with Stan Lee and gave the eager wallcrawler his first taste of wider popular familiarity. 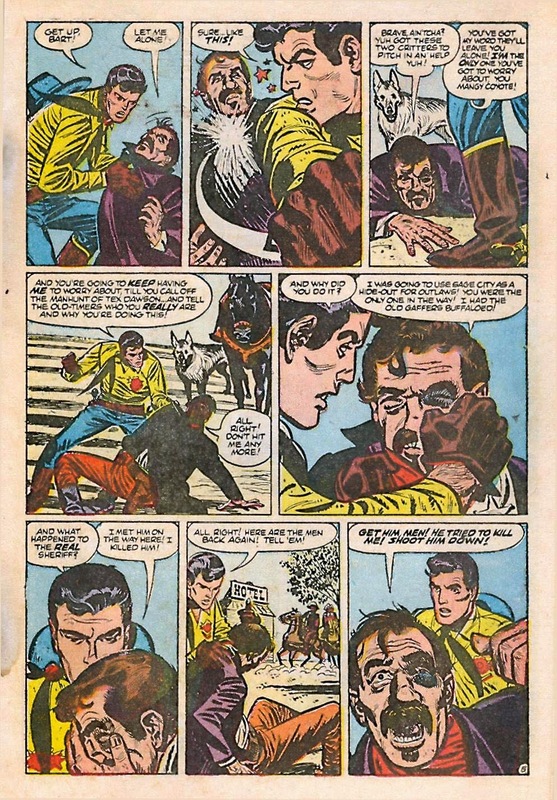 Marvel aficionado's may know him as the main bullpen artist during the sixties, the man responsible for all the repair and clean-up work during that time, as well as the developer of the look of many characters. Comic book historians often mention his work for Stan Lee in the fifties, high-lighting his work on the short lived Captain America survival (which has even been reprinted in a deluxe Masterworks tome). 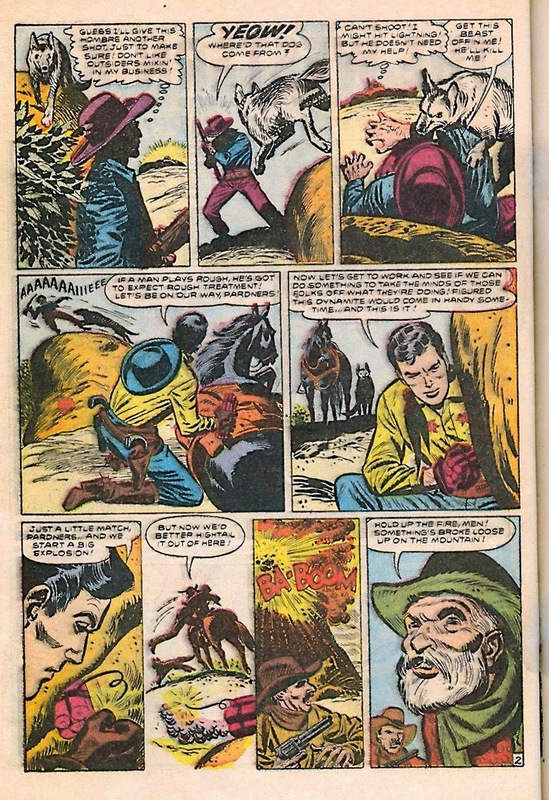 I myself have pointed out many times that he did more than just superheroes, working in most of the many genres that came out of Timely in that decade, horror, war, romance... 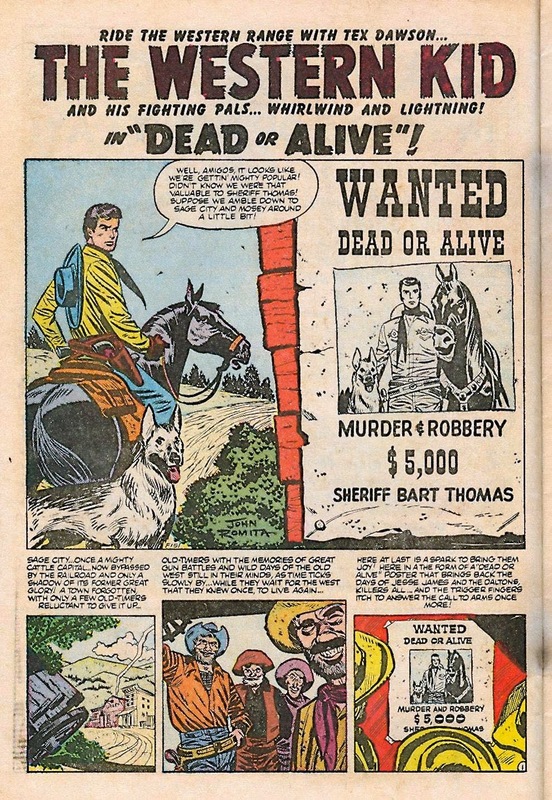 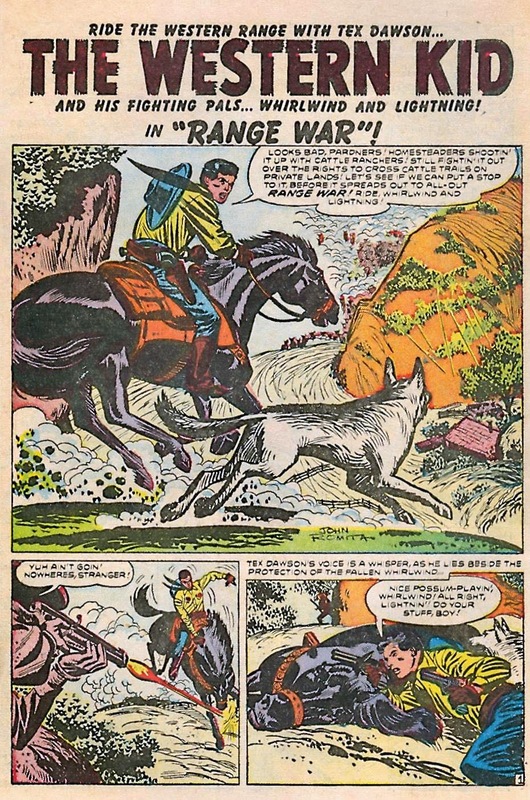 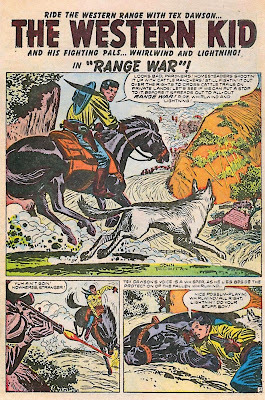 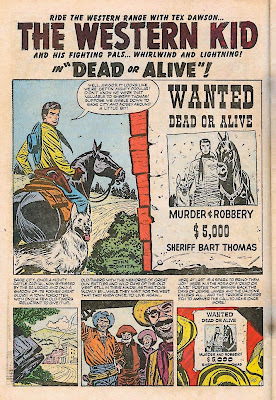 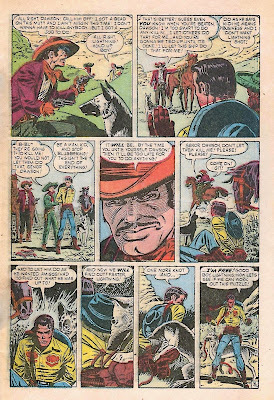 But even I have never given much thought to the huge western output of that company and because of that I may have failed to mention that Romita did a huge load of western books in the mid-fifties. 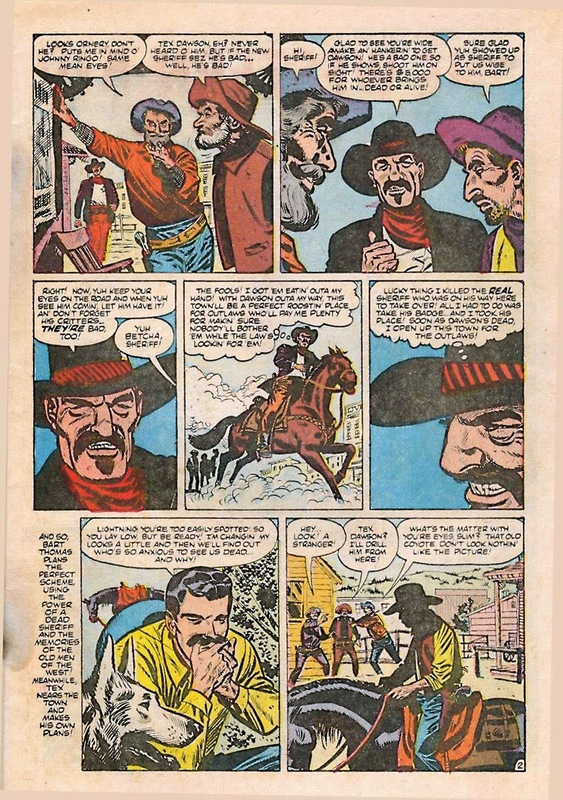 John Romita Jr. recalls sitting on his fathers lap when he was drawing horses and the influence shows. 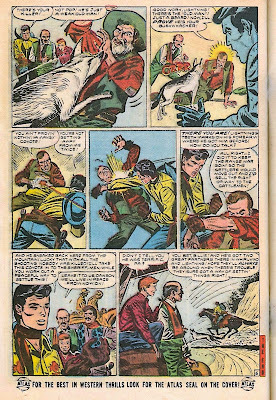 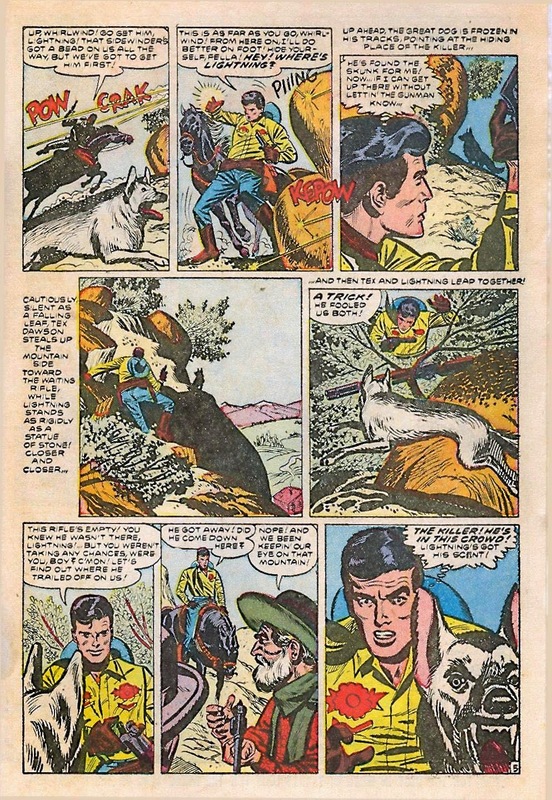 Even though the father worked in his own version of the Milt Caniff style, which a lot of Kirby influence thrown in, he also had must have looked to the work of DC stalwarts Gil Kane, Frank Giacoia and Carmine Infantino, who worked in a style based on the influences of Alex Toth and Dan Barry. 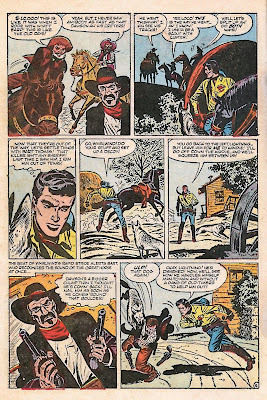 And it is that slick and emotionally restricted style that I see echoed in the work of the son decades later. 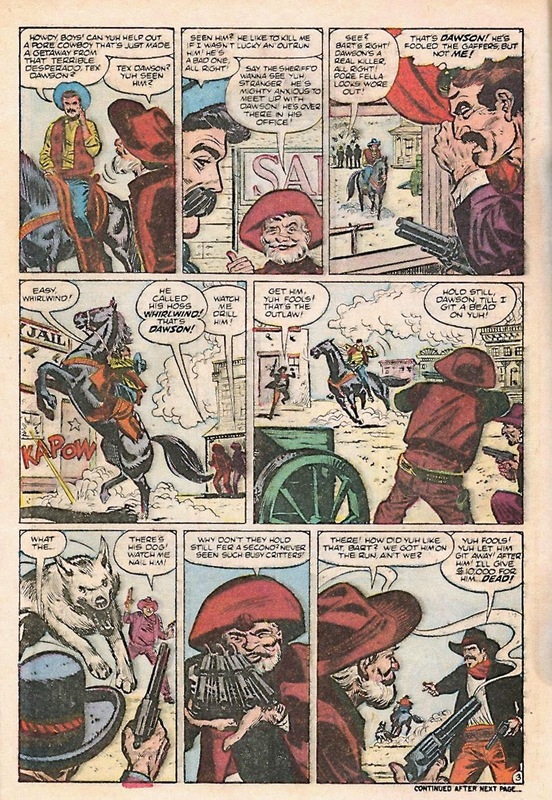 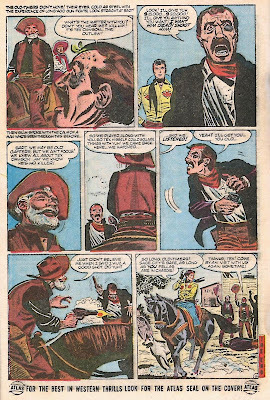 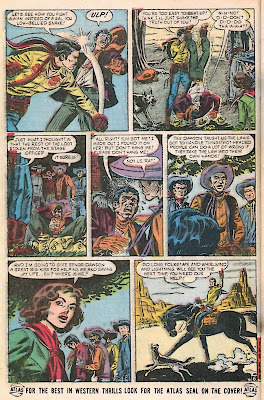 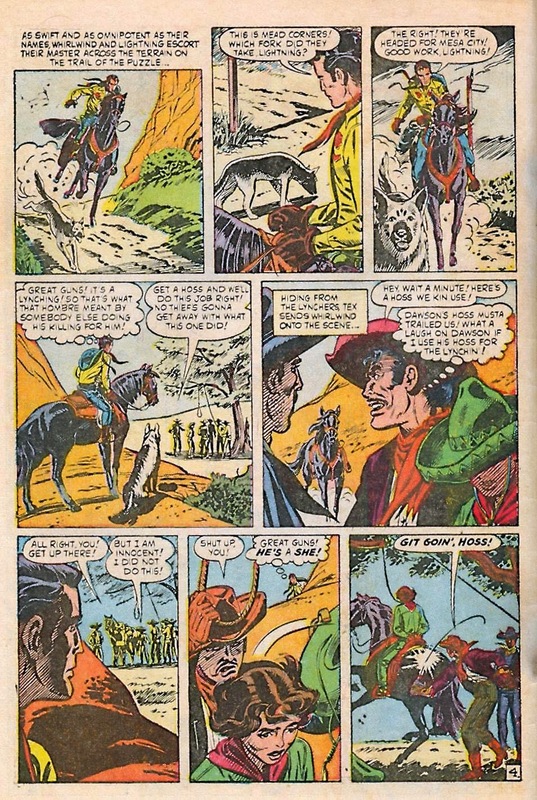 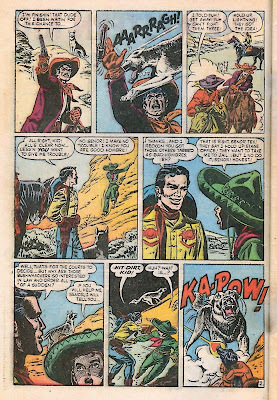 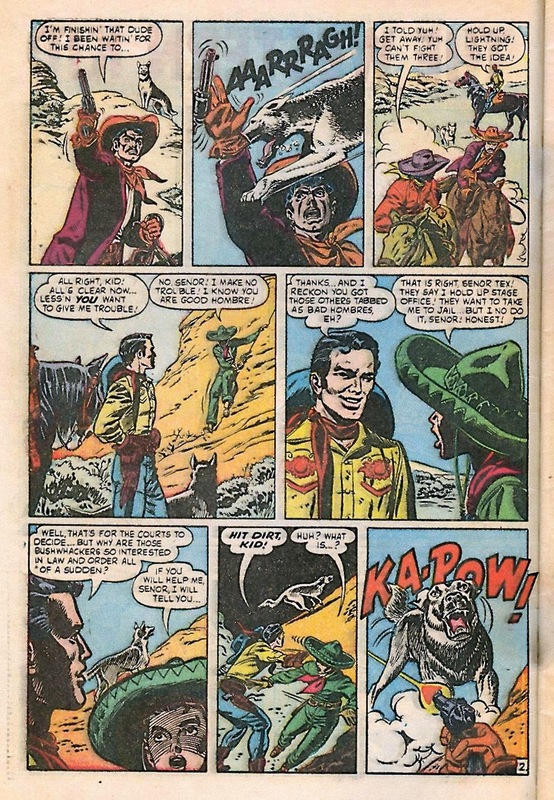 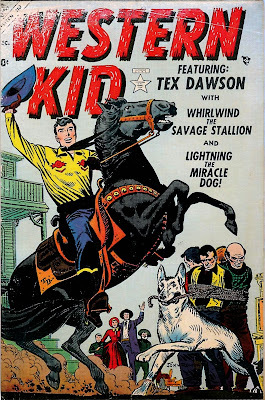 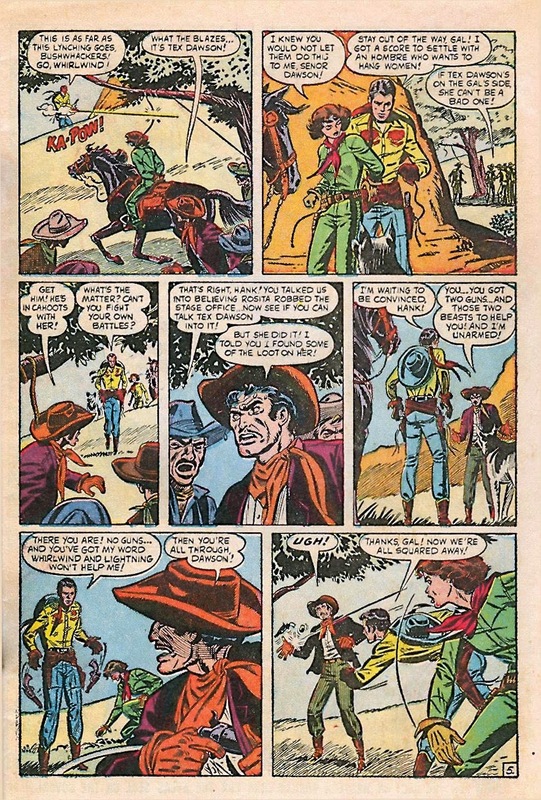 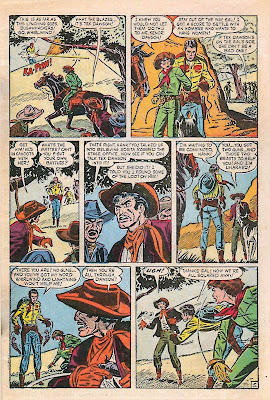 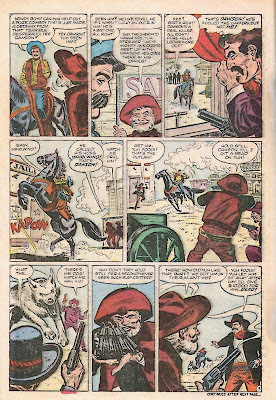 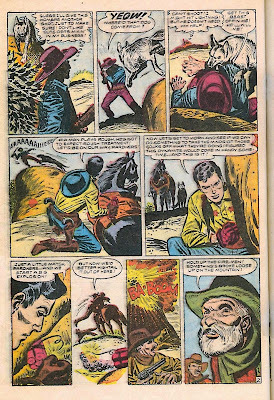 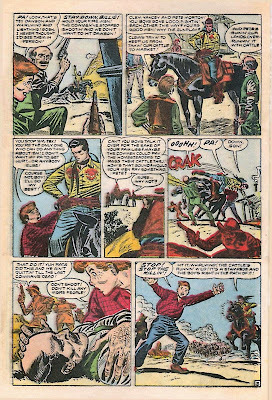 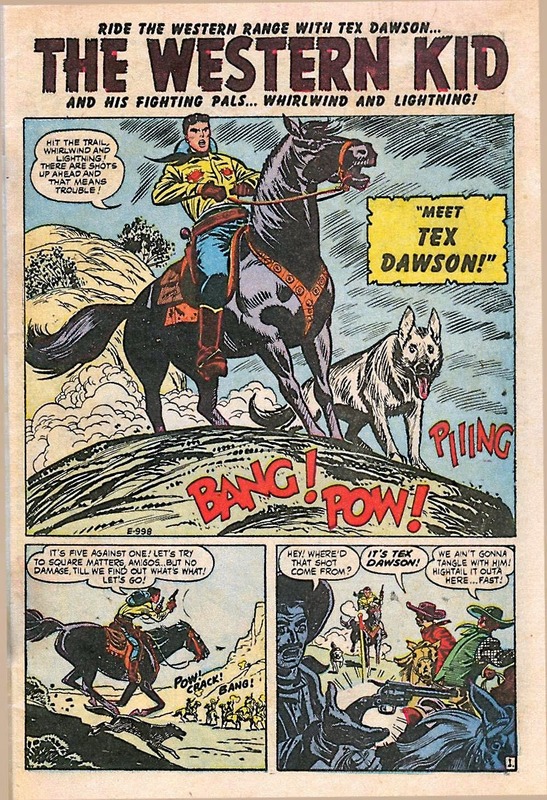 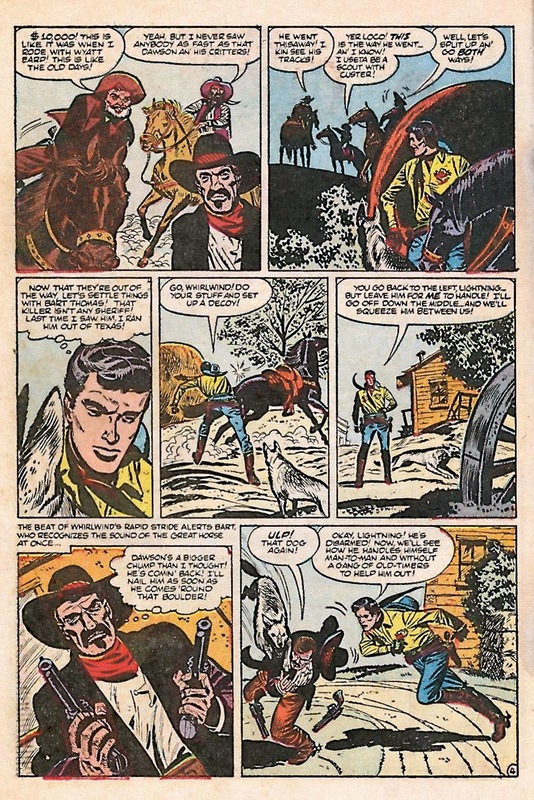 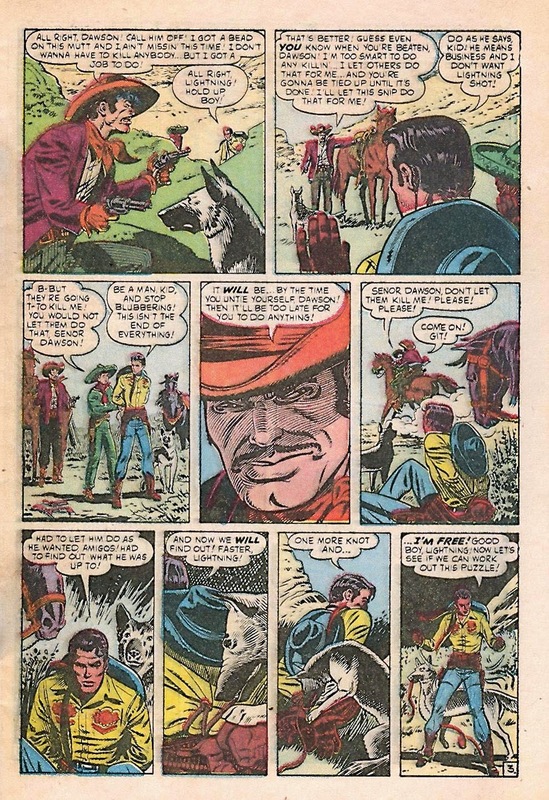 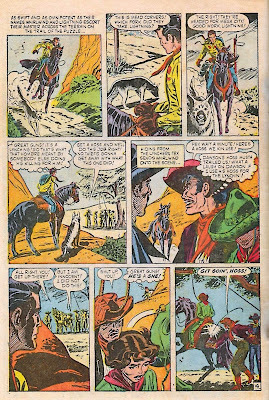 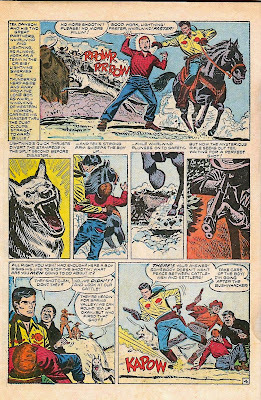 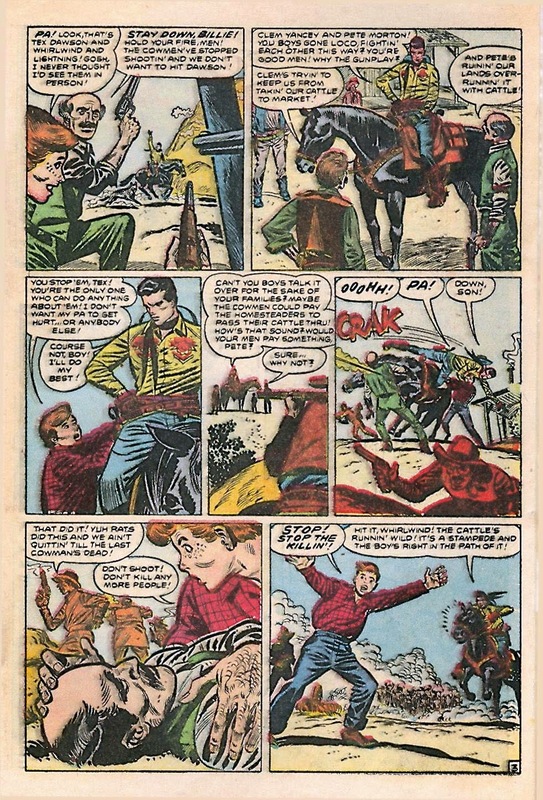 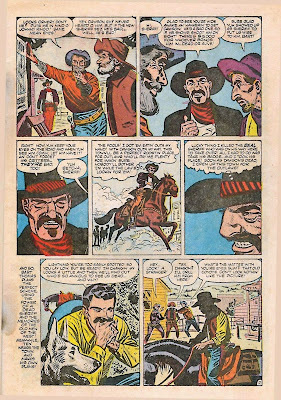 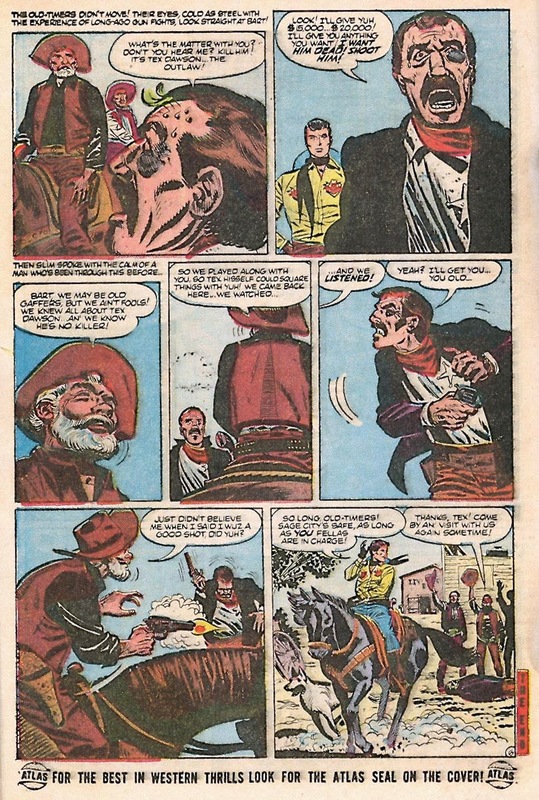 So here is a couple of stories of seventeen issue run of Western Kid, John Romita (then not yet a sr.) drew for Stan lee, before leaving for DC to do ten years work on their romance books.